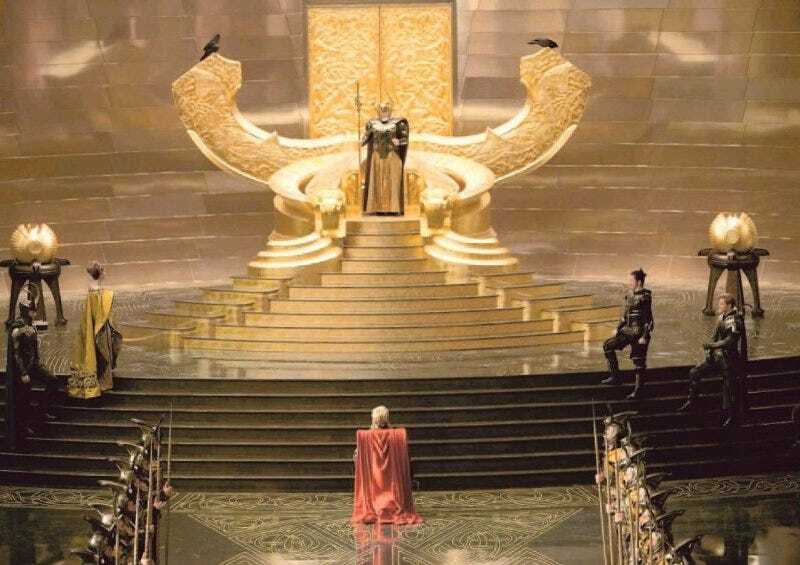 Check out your first look at the massive golden throne room for the ruler of Asgard, from Marvel's Thor movie. Plus get your first glimpses of Fandral, Hogan, Frigga and Loki's dashing horned helmet. The top image was released via The Los Angeles Times' print edition and this bottom picture is from Entertainment Weekly's special Comic Con issue. So, now that we've seen numerous shots from Marvel's new Thor picture, how do you feel it's coming together? [via League of Comic Geeks].